What is Image Option Change? 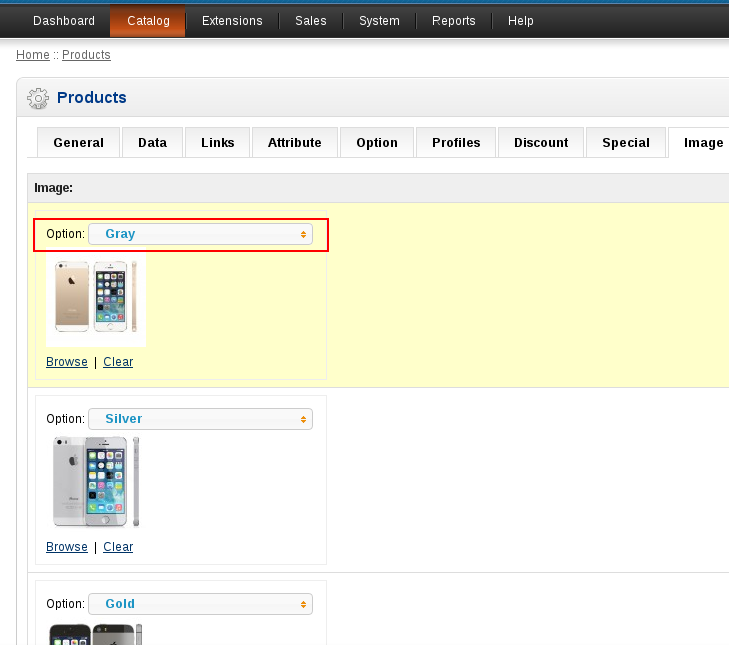 The module provides ability to change product image after option change. 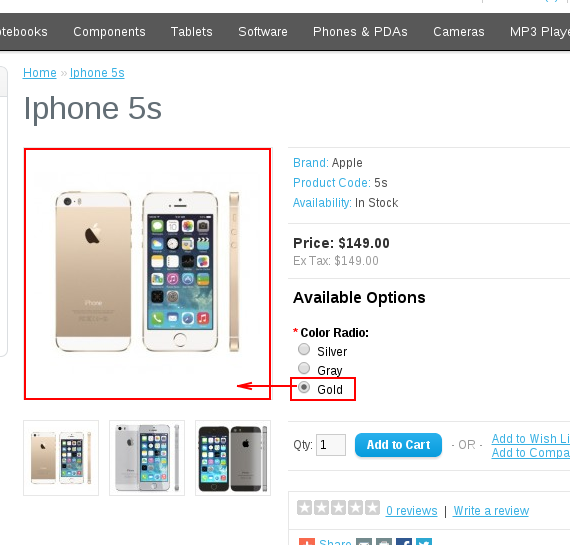 For example if you have a product with several colors, you can assign a image for each color. 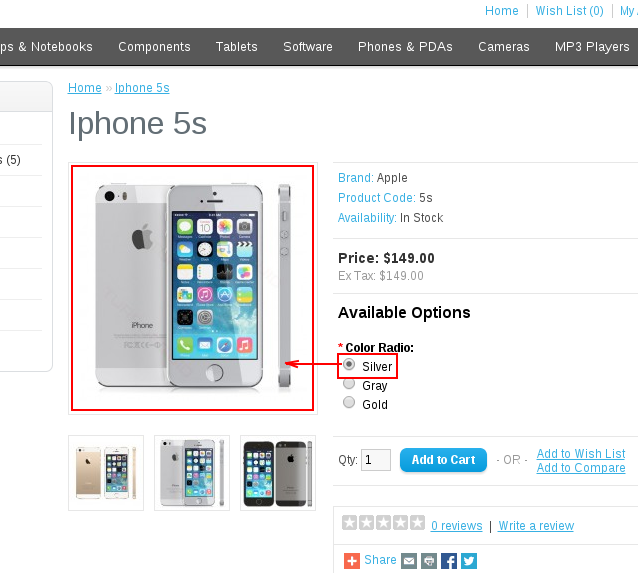 After that customer select color option and product image will change. The module supports several options for one image. In that case image will change if customer selects all the options. 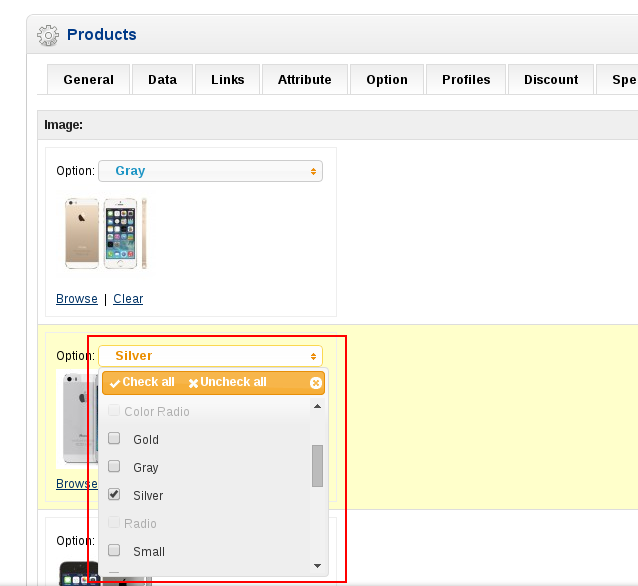 ✔ works with "Select", "Radio", "Checkbox" and "Image" options. ✔ vQmod. 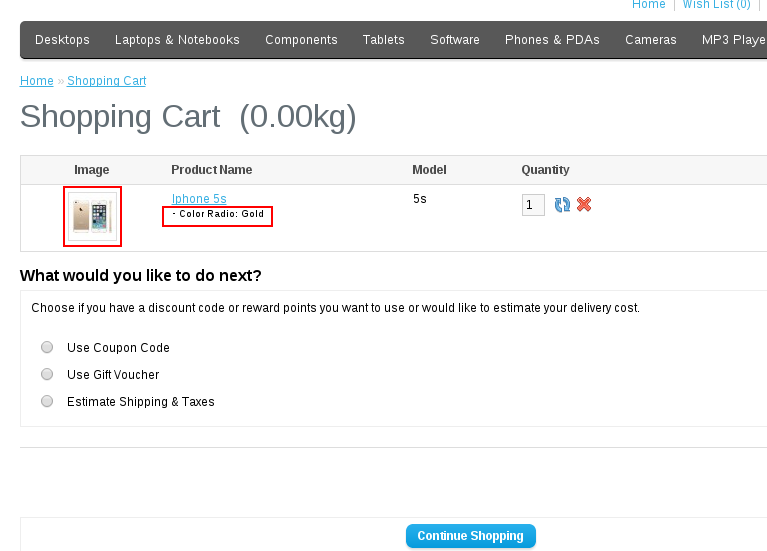 The module does not overwrite any of your opencart files. Akifievaa: Thanks for modifying the module for custom theme!